This image was received from Paul Bourke. 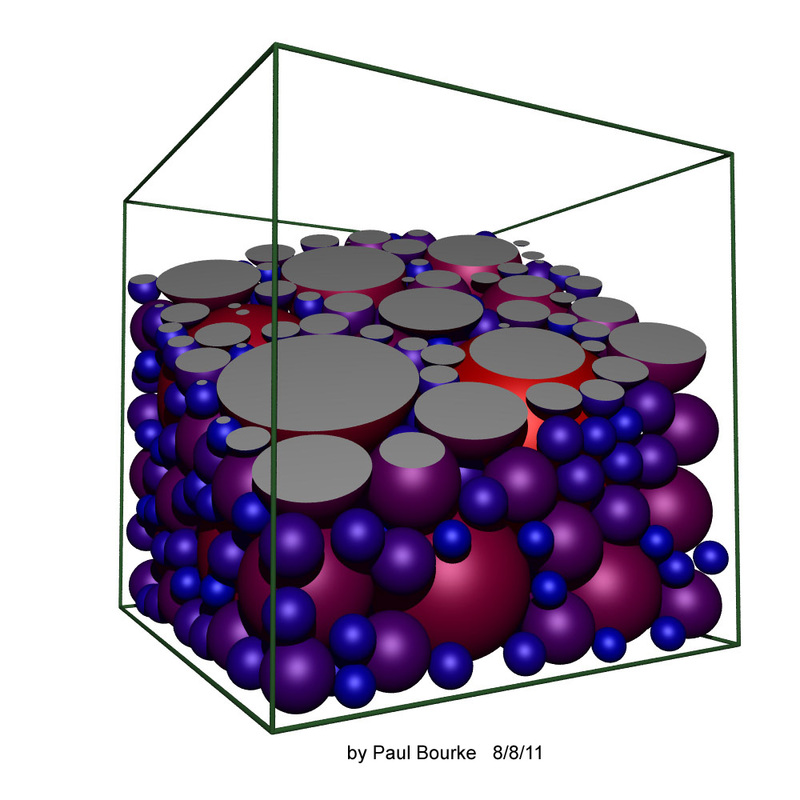 It shows spheres randomly packed into a box. He did not indicate any problems in setup or run. This is believed to be a first. The spheres have been cut away in a diagonal plane to allow the viewer a better grasp of what is being shown. In three dimensions the values of c refer to a sequence of volumes rather than areas. If the volumes of the packed shapes obey a power law with exponent c, the linear dimensions (e.g., the radii of spheres) will obey a power law with exponent c/3. The useful range of c values in 3D remains unexplored at this time.